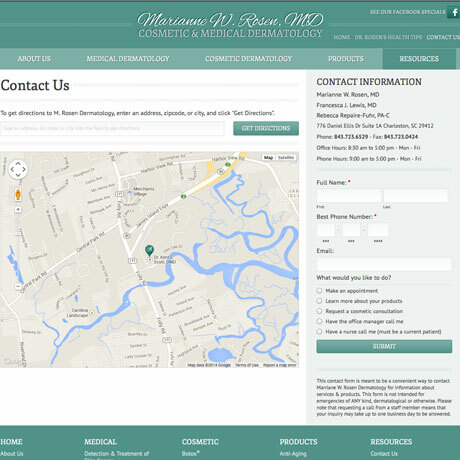 Located just minutes from downtown Charleston, Dr. Marianne W. Rosen, Dermatologist, provides a full range of dermatological services to help you look and feel your best. 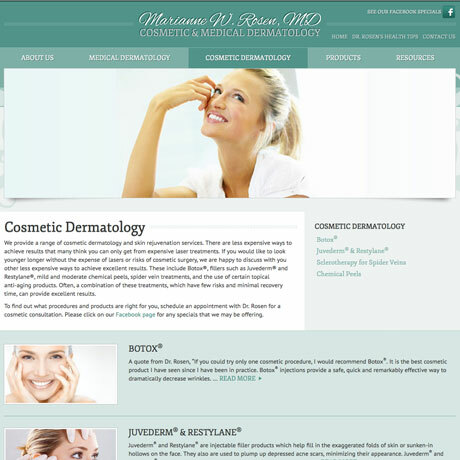 In addition to medical dermatological services, we also offer cosmetic services, including Botox®, Juvederm®, spider vein treatment and more. 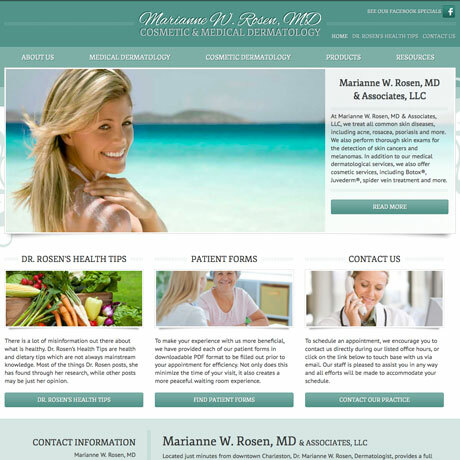 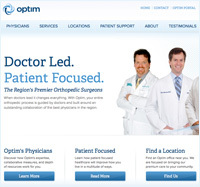 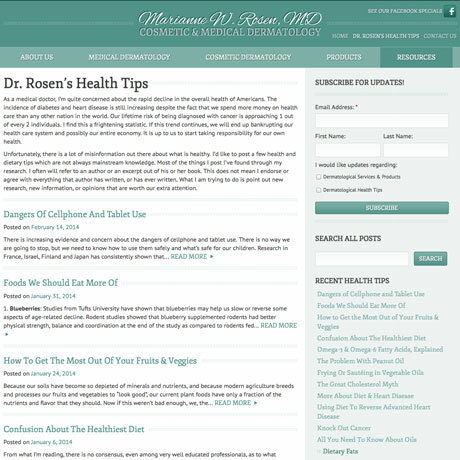 Our goal in creating the M. Rosen Dermatology website was to provide easy access to information about the services offered by Marianne Rosen in a fully responsive environment.